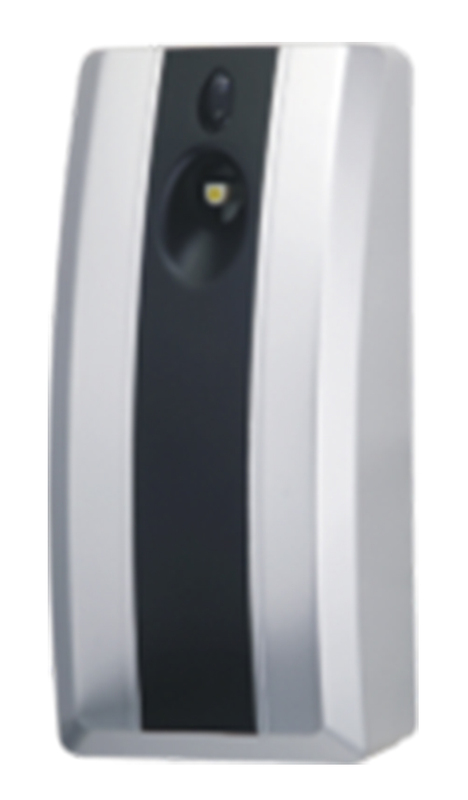 Slim line wall mount, black and grey air freshener dispenser. Modern design. Automatic regulation. Regulates periodically depending on size of area from 7.5 min up to 30 min intervals . Air freshener can be used more than 3000 times. Effective up to 160 cubic metres per unit.